New York Governor Andrew Cuomo speaks during a bill signing event at John Jay College, May 1, 2018 in New York City. Cuomo has spent billions of taxpayers' dollars in hopes of kickstarting the state's job market, ranging from major projects like a $750 million solar-panel manufacturing facility in Buffalo to thousands of smaller projects prioritized by regional panels the governor created shortly after taking office. ALBANY — When Gov. Andrew Cuomo easily won his way into office with the state climbing out of a recession in 2011, he viewed his victory as a "very specific mandate." Voters, he said, wanted him to turn the state's economy around. "It starts with jobs, jobs, jobs, getting the economy running once again," Cuomo said in his first inaugural address. "Getting the economy running all across this great state." Since then, Cuomo has spent billions of taxpayers' dollars in hopes of kickstarting the state's job market, ranging from major projects like a $750 million solar-panel manufacturing facility in Buffalo to thousands of smaller projects prioritized by regional panels the governor created shortly after taking office. The results have been mixed: New York has added 1 million jobs since Cuomo took office and the unemployment rate has dropped significantly, but both have trailed the national trends and the job growth has largely been centered in New York City. Now, Cuomo is facing a Democratic primary challenge Sept. 13 from actor Cynthia Nixon, with a battle against Dutchess County Executive Marc Molinaro, a Republican, waiting in November. And the economy remains on voters' mind. A Quinnipiac University poll last month found 23 percent of voters in the state say the economy is their most important issue in deciding how they will vote for governor, beating out health care and government corruption, which garnered 19 percent each. When Cuomo touts the economic successes of his administration, he points to the jobs data. It goes something like this: New York has created more than 1 million new jobs since he took office in 2011. "You will be pleased and proud to know that we have created more jobs than any administration in 75 years," Cuomo said during his 2018 State of the State address in January. "We created 1 million new jobs in six-plus years. Since Governor Dewey was elected in 1942, no state administration has created more jobs — or a higher percentage of jobs or created jobs faster." Federal data shows the state has seen a bump in total jobs in Cuomo's eight years, which started at the tail end of the recession. When Cuomo took office in 2011, New York had 8.6 million non-farm jobs, according to the U.S. Bureau of Labor Statistics. As of May 2018, New York had 9.6 million non-farm jobs. Unemployment is down, too — from 8.3 percent when Cuomo took office in 2011 (and the state was still emerging from a recession) to 4.5 percent this June, according to the federal data. Cuomo's major jobs initiative has been the Regional Economic Development Councils, 10 regional panels he created in 2011 to help rank local development priorities and compete for state grants and tax breaks. New York's tourism and hospitality industries — which Cuomo promotes heavily — have been on the upswing. Since Cuomo took office, the tourism industry has outpaced the state's overall job growth, jumping from 482,000 workers in 2011 to 547,000 workers in 2016 and passing the finance and insurance to become the state's fourth-largest private-sector, according to state jobs data. It's a similar story with food services and drinking places: A jump from 355,000 jobs in 2011 to 435,000 jobs in 2016. Last year, the state estimated the total economic impact of the tourism industry was $108.7 billion — an all-time high and a $21 billion increase from 2011. Cuomo's administration has spent big on marketing New York's tourism industry, spending much of Empire State Development's $50 million annual advertising budget on boosting the state's attractions. The governor has paid particular attention to the state's breweries, wineries and distilleries, signing various laws meant to make it easier to start up and grow craft-beverage businesses in the state. It appears to have paid off: New York has 1,005 craft-beverage makes across the state, more than doubling since 2012 alone, according to the state. "By working to remove barriers to expansion, we have helped foster new opportunities for small businesses and will continue to support breweries, wineries, cideries and distilleries as they develop their brands, create new jobs and drive tourism all over New York," Cuomo said in a statement last month. 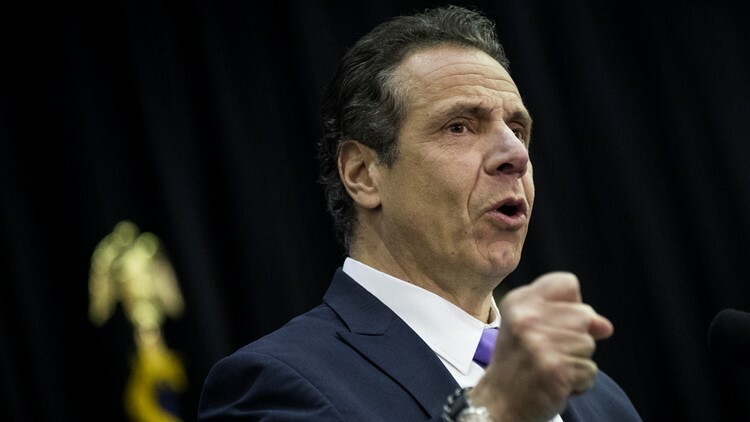 The program, Start-Up NY, would "supercharge our efforts to grow our economy" by "transforming localities in upstate New York into virtual tax-free communities," Cuomo pledged at the time. In Start-Up NY's first three years, businesses participating in the program created just 1,135 jobs — about one third of the 3,300 the state expected it to create by that point. The slow start was coupled with a significant advertising budget in the program's early days, with the state spending $53 million on state and national advertisements touting the program from late 2013 through 2014. Yes, New York has seen its job count go up and unemployment rate go down since Cuomo took office. But those trends have been slower than the national average and the job growth has largely been centered in New York City. From January 2011 through May 2018, the U.S. added 17.8 million new, non-farm jobs, pushing the total to 148.7 million jobs, according to the federal Bureau of Labor Statistics. That's an increase of 13.6 percent, outpacing New York's growth of 11.7 percent. It's a similar story when it comes to the unemployment rate. In January 2011, the country's unemployment rate was 9 percent, according to the federal data. New York's was 8.3 percent at the time. By June 2018, the national unemployment rate was down to 4 percent — lower than New York's state rate of 4.5 percent. Much of New York's job growth, meanwhile, has been in New York City. The city added 800,000 non-farm jobs from the start of 2011 to May 2018, according to the federal jobs data. That represents about 80 percent of the jobs added across the state. There's no discussing Cuomo's economic-development record without examining the corruption that plagued the Buffalo Billion, the governor's plan to revitalize the state's second largest city. As part of the plan, Cuomo's administration put up $750 million in state funds to build a solar-panel manufacturing plant for Tesla and Panasonic in Buffalo. The problem? SUNY Polytechnic Institute President Alain Kaloyeros, whom Cuomo entrusted to oversee the project, rigged the bid for the lucrative construction project. 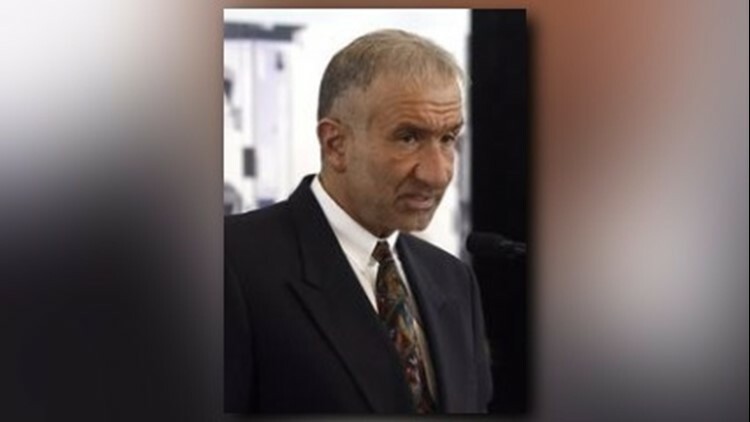 A federal jury found Kaloyeros guilty in July, convicting him for illegally steering the $750 million building contract to LPCiminelli, a Buffalo-based contractor that was a major donor to Cuomo's campaign. He was convicted along with Todd Howe, a lobbyist and former aide to Cuomo when he was U.S. housing secretary, as well as executives of LPCiminelli and COR Development, a Syracuse-area contractor that won another rigged bid in Syracuse for a ill-fated $90 million film hub in Syracuse that has largely sat vacant and was recently sold to Onondaga County. Cuomo himself, who once called Kaloyeros "New York's secret weapon," was never accused of legal wrongdoing. But Cuomo's closest aide and friend was. Joseph Percoco, Cuomo's longtime close personal friend, former aide and campaign manager, was convicted in a separate trial in March. He accepted more than $300,000 from COR and Competitive Power Ventures, a company building a massive power plant in Orange County. Percoco is set to be sentenced next month. The corruption cases have been a major piece of his political opponents' campaigns. It was no coincidence Nixon chose to roll out her own jobs plan earlier this month in front of the Tesla factory in Buffalo. "Cuomo has doled out millions, hundreds of millions, even billions of dollars to his corporate donors that not only created a cesspool of corruption that is Albany but has also created far too few good-paying jobs for New Yorkers," Nixon said outside the factory. Tesla, meanwhile, has pledged to bring 5,000 jobs to New York within 10 years, including 1,460 jobs at the Buffalo plant within two years, according to the Buffalo News. The company could face hefty annual penalties if it misses the mark. As of now, there's about 600 jobs at the plant, according to the newspaper.